Dr. Isaac Gang is an Assistant Professor of Computer Science at Texas A&M University-Commerce. 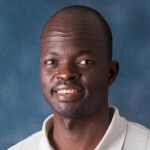 He joined the A&M-Commerce faculty in the fall of 2017 from University of Mary Hardin-Baylor Computer Science & Engineering department where he taught Computer Science for 6 years. His primary teaching responsibilities at A&M-Commerce include Algorithms Design, Games Programming, and Databases. Dr. Gang earned a Bachelor of Science degree in computer science from the University of Southern Mississippi in 2004, Master of Science degree in computer science from the University of Southern Mississippi in 2008, and Doctor of Philosophy in computational science from the University of Southern Mississippi in 2010.